It is critically important for your pointe shoes to fit your foot like a glove in order to feel comfortable, provide the necessary support, and maximize control. 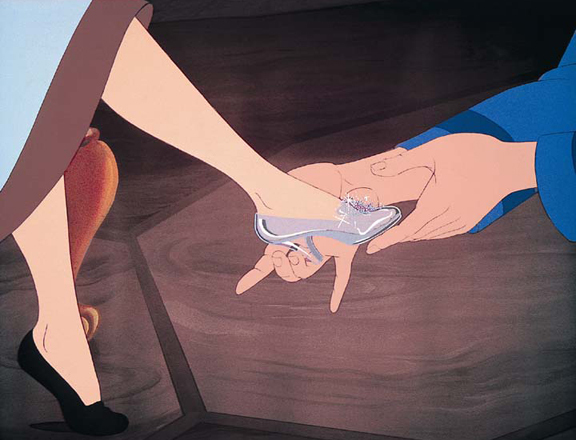 But have you ever felt like Cinderella, searching for the one and only “glass slipper” pointe shoe that fits your foot perfectly? We know that achieving this elusive “perfect fit” can be quite a challenge. 1. The in-store fitting process. Inexperienced fitters, limited shoe stock, and an exhausting trial-and-error procedure can all make this experience feel like wandering through a maze. 2. The natural disparity between the shape of the pointe shoe and the foot. If you have noticed that your foot is not shaped like a tapered, squared-off block, you are not alone. The fact that the unique shape of your foot does not match the interior geometry of the pointe shoe creates very uneven weight distribution, particularly when you are standing en pointe. Where your foot contacts the shoe, painful and damaging high pressure points appear. The less of your foot in contact with the shoe interior (and the more voids there are within the shoe box), the greater the pressure that accumulates at these high stress points. 3. Dancers’ feet (and toes) are as different as their faces. It’s not something we typically think about in street shoes, but differences such as toe configuration can dramatically affect comfort and fit in a pointe shoe, since the entire weight of the dancer’s body is distributed over such a small area. It is estimated that one-third of the population has a first toe longer than the second, one-third has a longer second toe, and one-third has both toes the same length. Consequently, where a dancer experiences pain depends entirely on her foot shape and how well it fits the shoe. What tools do dancers have to work with? Dancers are some of the world's best artists and athletes, and yet there is no aspect of pointe shoes currently on the market that is truly customizable or individualized to an individual dancer's foot anatomy. Pointe shoes certainly come in many different sizes, widths, and box shapes, but that’s generally the extent to which a dancer can control the fit of her shoe. Most dancers can't afford the bespoke shoes that professional dancers are given. As far as toe pads, most are the same shape for all feet and are one uniform thickness, which does nothing to improve weight distribution or the fit of the shoe. Even worse, many are overly padded in known pressure areas. These types of toe pads, as well as separate accessories designed to pad pressure points, not only reduce the critical ability to feel the shoe and the floor, but also often increase the pressure in those areas. This is a reactive approach, and a flawed way to think. Is it just us, or do you believe dancers deserve better?